Amicus counts on a dedicated team of health care professionals who specialize in offering top quality family care. A graduate of Barry University, Diana has been working in the medical field for over eight years. 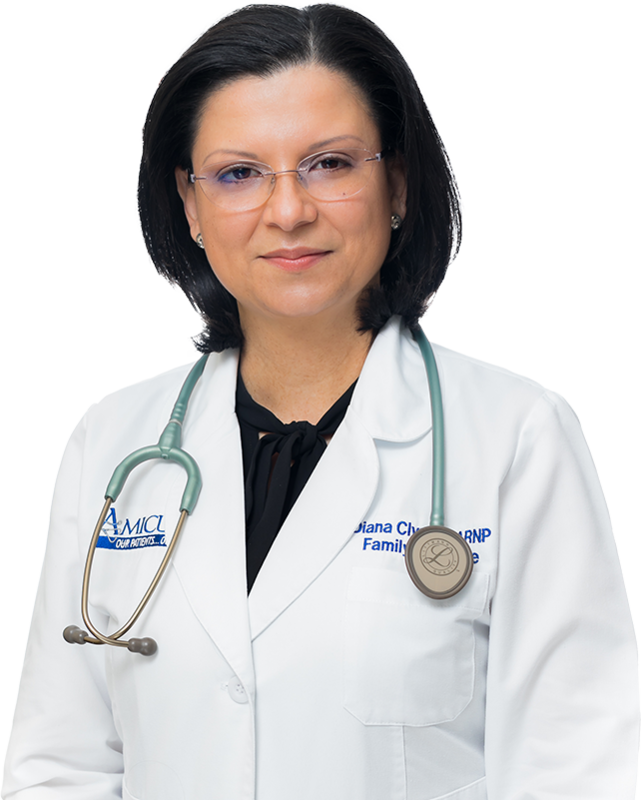 Whether you're looking for a primary care physician for family or for yourself, Diana is ready to become your neighborhood nurse practitioner. Felt comfortable as soon as I stepped in the office. Warm, friendly staff and the Physician, Dr. Lopera, was very attentive. I highly recommend this office. I just love Dr Lopera and his friendly staff. Just got my sports physical and I'm ready to start school and play some football. Dr. Lopera is very caring and compassionate. The staff was very friendly. I truly enjoyed the experience. Very happy with my doctor Office. Great Staff. Dr Lopera is carring and listen, i never feel rush. Warm welcoming office, attentive staff, all questions addressed and answered by Nurse Practitioner. Would highly recommend this practice. Its hard enough having to see the Doctor sometimes, but at least I know I'm seeing one of the best. Dr. Lopera and all the staff at this office are always eager to help with a smile on their face.